Higher Chapel Leigh Farm is predominantly a grassland farm supporting 250 ewes and approximately 100 head of cattle, and has recently converted to organic status. Whole crop cereals and forage maize are grown on the holding to supplement the grass based diets. Soils on the farm comprise of light sandy loams that are inherently low in Potassium and vulnerable to soil erosion, and historically crops have shown deficiencies in Magnesium and Sulphur. What does your nutrient management plan consist of? Tony has a policy of regularly testing soils to monitor soil nutrient status and occasionally using tissue analysis to monitor micro nutrient and sulphur status of the crops. As an organic farm, organic manures are the main source of nutrient input; these are tested on a regular basis to determine dry matter and nutrient content which are consistent with standard figures. Nutrient inputs are planned based on soil nutrient status, cropping and expected yield using standard values from RB209. 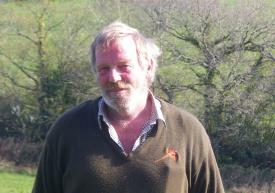 As an organic farmer reliant on nitrogen fixed by legumes and nutrients applied in organic manures produced on the farm, Tony is well aware of the nutrient value of manures, worth £11,500 at 2010 fertiliser prices. Applications are carefully planned to optimise the nutrient availability for the crop with spring applications of Farmyard manure (FYM) applied and incorporated into land prior to drilling spring crops, additional applications are made in the autumn on silage ground to replace nutrients removed by crop uptake. 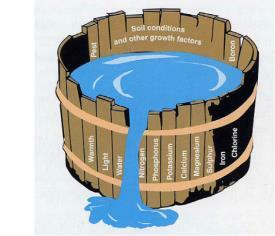 The small volume of slurry produced is applied in early spring to the silage ground to promote early growth. Typical application rates of FYM are 15 tonnes/ha delivering the following crop available nutrients 18kg Nitrogen, 31kg Phosphate and 108kg Potassium per ha in the spring. Recent tissue analysis has revealed that crops are low in Sulphur and Magnesium and Kieserite (Magnesium Sulphate) is applied to correct deficiencies. What other factors do you consider? As mainly solid FYM are applied, application options to improve the crop utilisation of applied nutrients are limited to timeliness and incorporation. However, other management practices are implemented to maximise nutrient uptake efficiencies. Soil pH is closely monitored to ensure they are in the range optimum for crop growth and do compromise the availability of soil nutrients. Tony explains "if the pH is out of balance, nutrient inputs are wasted." Careful attention is paid to monitor and remediate any soil structural problems, which not only reduces the risk of run-off but is beneficial to soil health, crop rooting depth and recycling of nutrients. Tony has recently invested in a soil aerator to remove surface compaction in the grass leys on the farm, improve infiltration and aerate the soil to improve nitrogen mineralisation. To reduce over winter nutrient losses from the light free draining soils, winter maize is now under with Ryegrass in June to provide green over-winter cover. This winter cover crop not only stabilises the vulnerable sandy soil but also mops up any surplus nutrients which are recycled back to the soil when the cover crop is ploughed in. As an organic farmer, Tony has limited nutrient input options however, now that the farm is organic, timeliness and attention to detail have become paramount to maintaining productivity and soil nutrient reserves. "This has been a challenge but we are achieving productivity similar to pre-organic conversion, due to careful manure, soil and nutrient management and sustainable cropping rotations to maintain and build soil fertility."